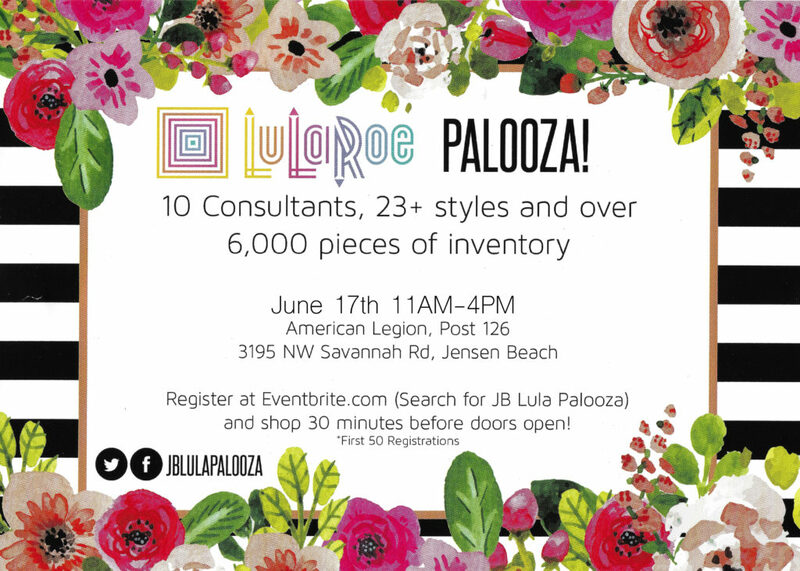 Join us for an exciting LuLaRoe Multi-Consultant sales event in Jensen Beach! Come together for an afternoon full of LuLaRoe clothing for women, men and children! 10 consultants, 23+ styles and more than 6000 unique pieces of inventory!